Start with washing the strawberrys then taking the stalks off six strawberrys, chopping each strawberry into 4 and put aside. Get a wine glass and pour some strawberry sauce into the bottom of the glass. 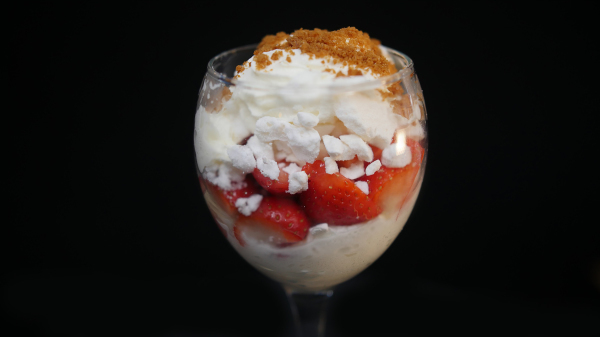 Add 1 scoop of vanilla ice cream then add crushed meringue pieces add more strawberry sauce. Finnish off with squirty cream and drissle crushed Biscoff over the top.